All patterns are strip-pieced... REALLY! No set-in (Y) seams. 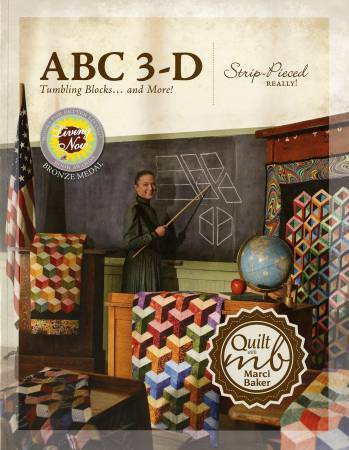 Includes 16 projects, twelve using Marci Baker's strip-pieced method from Not Your Grandmother's Tumbling Blocks and several updated designs from Sara Nephew's most popular book, Big Book of Building Block Quilts, including Hollow Cube, Honeycomb Waffle, Downtown, and Space Crystal. Be inspired to explore the world of 3-D with the full-color photos and step-by-step illustrations.